Google has finally come up with great features that promise high usability among users. Talking about the latest features, there are offline navigation, information on local gas prices and checking stores. In fact, among all the features, offline navigation is of great significance and proves to be extremely beneficial to users. So let us take a closer look at all these features. 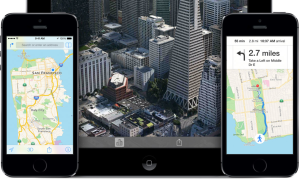 Download Maps for Offline Usability – If you can save a certain section of the map on your iOS devices gives high functionality even when there is no Internet connection on your phone. It allow users to search for locations within that particular area. It helps you to get turn by turn directions to the location where you wish to reach. However, there is one flaw and that is, since the map gets downloaded it eats up sufficient storage space. In fact, the downloaded maps get expired automatically within a month. Store Busy Times – Offline Google maps is indeed a big blessing, but you also have the feature of searching on Chrome or Safari. Features that you can search for is store busy times. It basically helps users to find stores that are busy helping users decide the approximate time when they can visit the store when the crowd is less. This feature gets auto updated regularly based on the footfall and traffic in that location. Store busy times is a feature that helps users to organise their day to day activities in a better way which is less time consuming. Comparison of Gas Prices – Gas prices play an important role in our daily household chores. With the help of this feature, you can compare gas prices just by typing the same in the search bar of this feature. Within seconds, you get a list of gas prices helping you make your selection process easy. This feature has always helped in increasing awareness about the existing gas prices. A list of different prices will help you make choices clearly that will be extremely cost effective. These features have been designed to serve different purposes. If the offline Google maps download is to navigate better and spot different locations. Then you have the gas price comparison that help you save on your costs and the busy store app allows you to save on your time. These features have been crafted to make life simpler for people.